Breakfast delivered by outrigger canoe. Photo: Courtesy of Thalasso. You can see it all while taking it easy in French Polynesia. The only things you need are sunscreen and a dream. 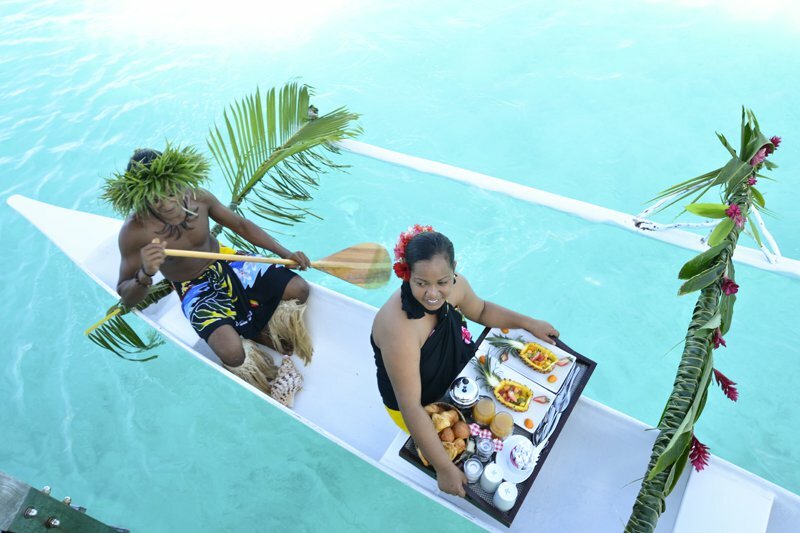 - Have breakfast delivered to your over-water bungalow by outrigger canoe. - Swim with giant sea turtles in a private lagoon (at ). - Arrange a motu picnic, a traditional Tahitian meal prepared on the beach of a small islet. Don't forget the locally brewed Hinano beer. - Catch the wind: kite-surf, windsurf, or parasail. - Spend an afternoon on a 4x4 safari excursion on Moorea. Re-fuel with fruit punch at (a charming little distillery). - Climb aboard a yacht in Cook's Bay. - Eat hibiscus and tiare ice cream (the latter is tahiti's national flower). - Try drift snorkeling through the tiputa pass on Rangiroa. Float on the sea surface while the currents carry you into lagoons. - Reward yourself often with cocktails. Hope they come with tiny umbrellas. - Get your on. Shallow lagoons for novices, vertical reefs for thrillseekers. - Take note of Tahiti's burgeoning . - Feed the animals (with trained professionals): sharks, manta rays, dolphins, eels. - Nap on a hammock. - Tour Taha'a vanilla plantation (pick up vanilla beans and a bottle of noa noa vanilla liqueur, the island's nog-like spirit). - Dip into the Fa'arumai waterfalls. - Get a tattoo. French Polynesia is famous for its ink. - View the volcanic islands — fringed with reefs, surrounded by rings of blue water — by helicopter. - Get hitched in a glass-bottomed wedding chapel. - Go horseback riding on the beach. - Rest in the shade of a coconut palm. Preferably in the Tuamotus. - Did we mention cocktails? - Watch Polynesian dances of aparima, hivinau and ote'a. then join in. - Take a midnight outdoor bath. Ancient marae. 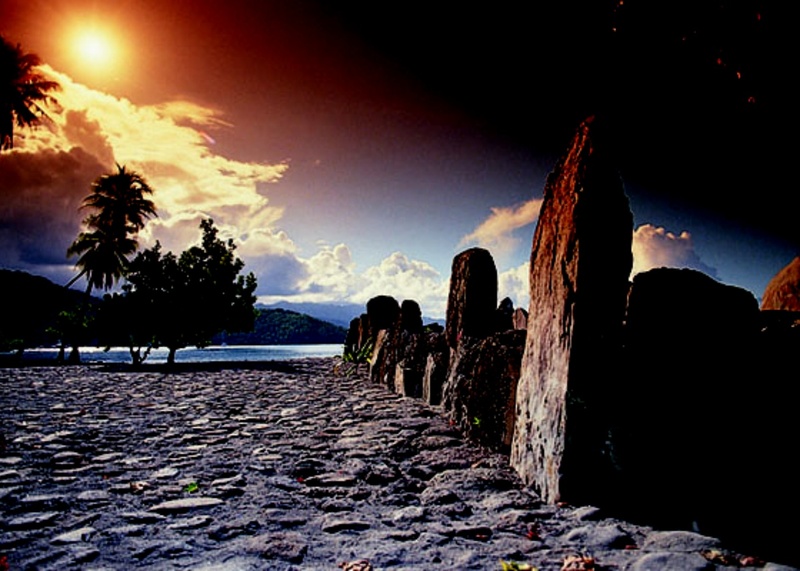 Photo: Courtesy of Tahiti Tourisme.